Although they had just met, somehow Jeff and Amanda found themselves holding hands in the dark woods, walking along abandon railroad tracks. There aren’t a whole lot of things to do for fun in Arkadelphia, so frequently groups of college students used to gather up groups together and make their way to Gurdon, looking for a mysterious light. Legend has is that the light originates from a lantern of a railroad worker who was killed in the path of a train. His head was separated from his body, and the poor headless railroad worker has come out at night, looking for his head, since the Great Depression era. The light was a phenomenon that frequently attracted curious college students, and that night, Jeff and Amanda found themselves among one such group. Somehow, Jeff ended up next to Amanda, holding her hand and helping her over trestles and assuring she didn’t fall into the darkness. Within a week, Jeff asked her to make the 40 minute drive to the nearest town with him to watch a movie, and by the end of the evening Amanda felt like she was chatting with an old friend. While Jeff knew that Amanda was the one fairly early in their relationship, Amanda took a bit more convincing. He loves to go to concerts and always has to be at the midnight release of any Oscar worthy movie. She would rather spend a Saturday afternoon crafting in the living room while watching a Disney movie. But they found that their differences complimented each other, and over time Amanda realized she couldn’t imagine life without him. 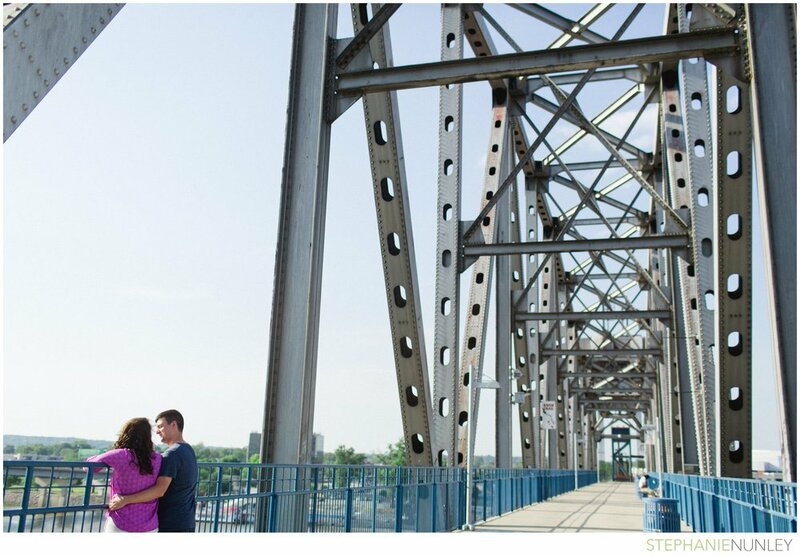 I met Jeff and Amanda a few days ago for their downtown Little Rock engagement session. The plan was to wander around the River Market area, then catch a trolley and generally adventure around downtown. While our plans were thrown off a bit by preparations for River Fest this weekend, we still found lots of fun places to go and managed to learn quite a bit about Little Rock history while on the trolley. 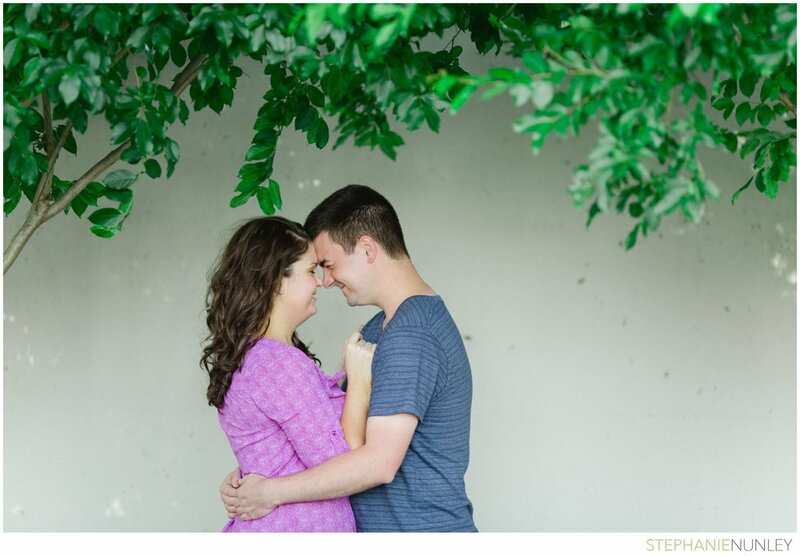 Jeff and Amanda, I had a wonderful evening with the two of you and I hope these images remind you of the love that you share! I couldn’t be more excited for your wedding this fall!